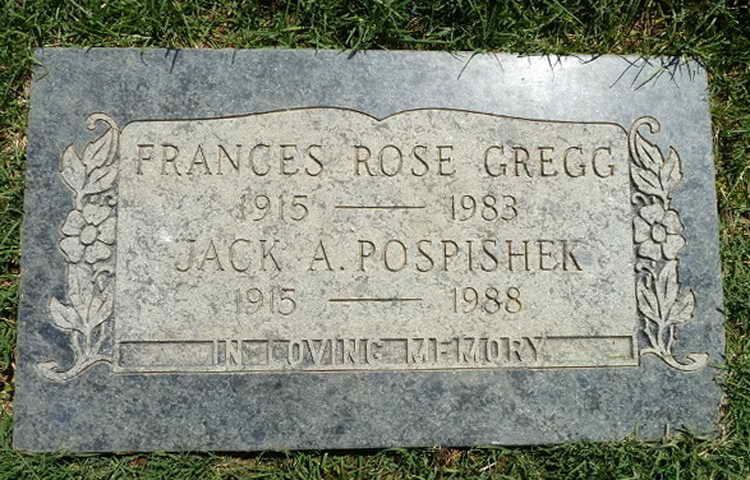 Grave marker for Jack A. Pospishek in the Oak Hill Memorial Park, San Jose (Santa Clara county), California. Jack enlisted in the Army at San Francisco, CA on 22 October 1940. A parachutist volunteer, Jack served in the 551st Parachute Infantry Battalion until he was transferred to the 508th PIR on 10 March 1945. Pvt Pospishek was awarded the Bronze Service Arrowhead Device for the Southern France Campaign and Airborne Operations.